If there’s anything everyone looks forward to this Christmas, it is to get together with friends and loved ones! We know, our family sure looks forward to it! Over the weekend, Glad Kitchen gave us mommies tips and hints on how to make the holidays even more festive. Of course, we all know this is only possible if we keep stressors to a minimum. 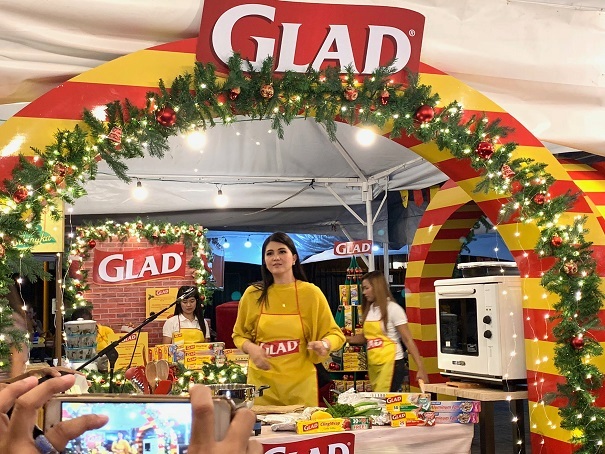 The lively and ever so congenial celebrity Dimples Romana no less shared with us three of her favorite food to prepare for her family. Just watching Dimples juggle her way around the kitchen with Glad Kitchen products, it’s easy to see that she’s through and through authentic. I love how spontaneous she gets as she cooks the Pampano dish, baked the flavorful Shrimp and Sausage Boil, potato and corn dish, and prepared the ham sandwich. Glad Cook n’ Bake Paper is the perfect partner because it is made from a high-quality baking and cooking paper with a specially designed non-stick coating, and is heat resistant up to 230 degrees celcius. Glad Cook n’ Bake Paper eliminates the need for fats and oils when cooking, enabling you and your family to eat healthier with less mess. Glad has an array of Storage Bags, Freezer Bags and GladWare reusable containers which are BPA-free and safe to use for microwave. Glad Kitchen products are recyclable, free of phthalates, BPA-free, which impressed me all the more. We all should be working towards caring for the environment and not to focus alone on the convenience of the products that we use. 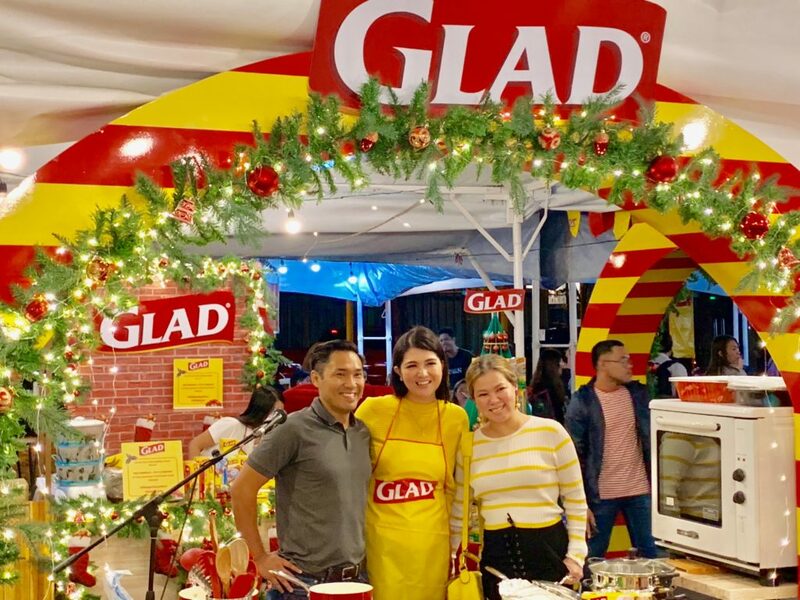 As a treat to us mommies, Glad Kitchen is generously offering FREE Bibingka and Puto Bumbong at Mercato Centrale BGC for every purchase of Glad products worth P100.